iOS 12 will focus more on performance. Apple is looking to make the iPhone faster and more responsive. 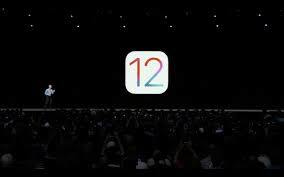 iOS 12 will work with all the same devices that can handle iOS 11. –Keyboards will be 50% faster. –App loading will be twice as fast with iOS 12. Want to video call more than two people? Group calling is now available in the new and improved FaceTime. The user will be able to start the Group FaceTime right directly using the group thread in Messages or join the conversation anytime. –the color of the hairs, headwear, and eyewear etc. iOS 12 also brings to you a solution to control the screen time. Additionally, parents who want to keep a check on their kids phone usage will be happy with this feature that allows them to set a limit to phone usage. A new feature has been added to iMessages and FaceTime that allows the user to instantly share videos and photos along with filters, text effects, animoji and stickers. The voice memos have been updated to make it simpler. It will now work with iClould so that you can access your voice memos across multiple devices. The students can now add their student ID to the Wallet app and use it to access various places. It is quite evident that Apple has introduced some amazing features that will hike the experiences of the users on the whole.